Thanks to everyone who makes a donation to support the work we do!!! 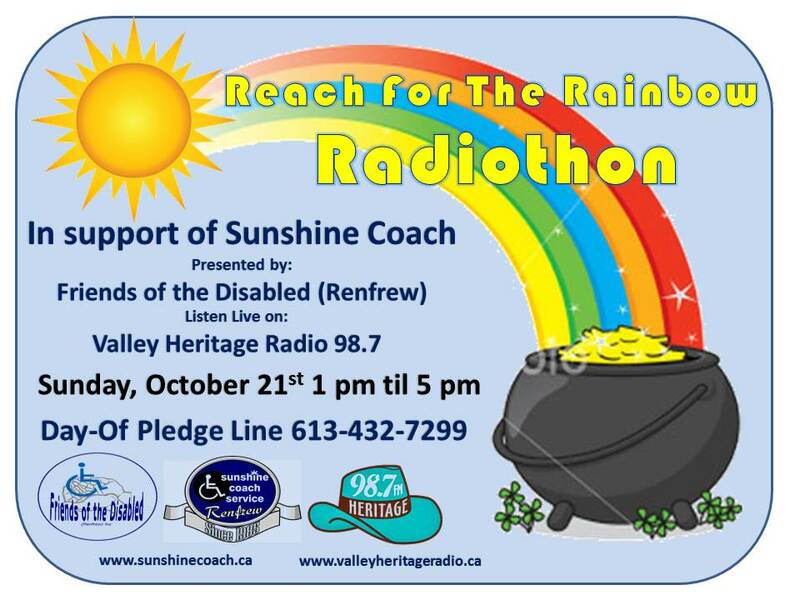 The next edition of the Reach For The Rainbow Radiothon will happen on Sunday, October 27th 2019.
on the second Sunday following the Thanksgiving Weekend. to enjoy the free, live entertainment. 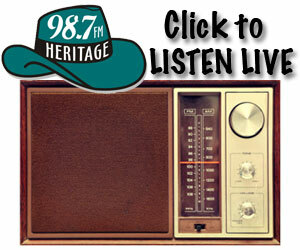 While there, visit with VHR staff, volunteers and On-Air Personalities. Friends of the Disabled (Renfrew) Inc. volunteers will be pleased to receive your donation in person. Remember to bring along your spare change and add it to our Kilos of Coins weigh scale. Help us gather the most number and the greatest possible weight of coins. These will be rolled after the event and will be used exclusively to offset Sunshine Coach operating costs. The Day-Of Pledge Line is only available on the Sunday of the event, but we will accept pledges online, by secure credit donation via Canada Helps or by visiting the Sunshine Coach Offices at 44 Railway Avenue in Renfrew. Remember: As an alternative to calling in, you can send us your pledge online - these will be treated just like a phone pledge in that it will count for any blitz if the date/time stamp of your submission falls within the hourly three-minute blitz time frame. It's quick and easy - the system will prompt you for all the necessary information and will send you a confirmation via e-mail when you're done. You may honour your pledge using any of the options available for telephone pledges and a receipt will be issued on the same basis. The link below will re-direct you to the Sunshine Coach Online Pledge Submission page. Renfrew & Area, we appreciate your support in helping to ensure that Sunshine Coach remains viable and that fares remain affordable for everyone who relies on us every day to assist them in overcoming transportation barriers in their lives. The Day-Of Pledge Line (613-432-7299). Sunshine Coach (under the auspices of our charitable organization Friends of the Disabled (Renfrew) Inc.) accepts donations online through CanadaHelps.org, a charitable organization registered with Canada Revenue Agency which provides secure processing for major credit cards and provides immediate charitable receipts directly to you via e-mail. Please click the Image below to make a donation now! Operating a service such as Sunshine Coach is a very expensive proposition in today's uncertain economy. Charging our clients for the actual operating cost of trips would almost certainly make the service cost prohibitive for most of the people we serve. It is a necessity therefore to provide for shortfalls not covered by fares through the form of community fund raising and government subsidies. 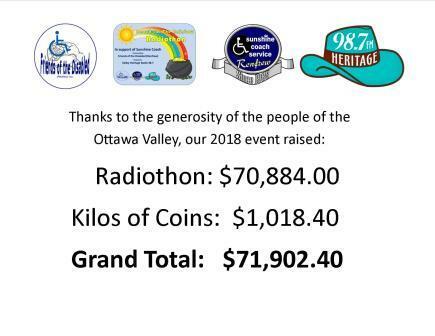 The purpose of our Radiothon is to reach out to you the public and seek your support in assisting us to continue this valuable service to those among our community who need it urgently. Your donations are critical to the continued viability of Sunshine Coach and are appreciated beyond what words can express. Visitors to the Radiothon are encouraged to bring along their spare change to add to our Kilos of Coins Weigh Scale. The scale will be located inside one of our coaches which will be attended by one of our experinced and professional Drivers who will be pleased to demonstrtate one our specially exquipped vehciles and to answer any question you may have.